The danger of the hidden key! Keys that are safely hidden outside a property sound like a great idea if you are looked out or lost your keys, however stop and think about the consequences if this hidden key was to get into the wrong hands! A spare key left with a neighbour or family member is a great idea, at least that way you can be sure the key is secure, but don’t put a big tag on the key that gives away what the key is ued for, just in case your neighbours house is broken into. 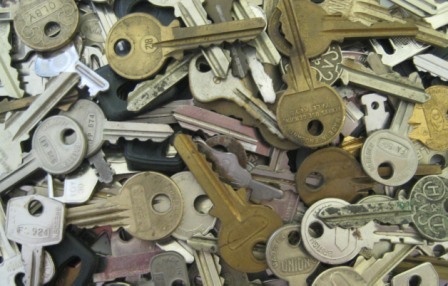 Despite the risk home-owners still leave a spare key under a plant pot or near an entrance, according to recent research from home insurance company Policy Expert, around 6% of homes have a spare key somewhere near a door! So, what would happen if unauthorised entry was made using this key….would an insurance company pay out. As normal this depends on who the insurance policy is with and what sort of cover you have. Some companies will pay out while others might not, as the old saying goes, you get what you pay for! If you are in the habit of leaving a key outside a property, it maybe worth checking the small print of your policy to see if you are covered in the event that a key is used to make unauthorised entry into a property. When considering key safety, it is also worth thinking about who might have access to your keys, and who could has had access to your property in the past. It is good practice to run some background checks to any tradesman that requires access to your property when you are out. When moving to a new place, it is always best to get all external door locks changed, that way you have complete control over who has access to the keys. An insure may decline a claim, if it appears you have been negligent, in the case of keys under a plant pot, it is likely that this clause will kick in and result in your claim being thrown out and ultimately you will be left out of pocket. If your key are lost of stolen and then used to gain entry to your home, you should be covered, however you should report the keys as lost or stolen to the police and quickly as possible and make arrangement to have the locks changed, some policies will cover the costs involved.